You've Written A Book... What Next? Good morning and welcome to Sharing Saturday. Today, we’re talking about just what goes on after you finish writing a book. Stay tuned, this could be very informative for the uninitiated! You’ve written your book. After going through beta readers or a critique group, you’ve submitted to publishers and were given a contract. Now that you’re waiting on all the excitement to start – being assigned an editor, deciding on cover art, and preparing for the day your book is released, you need to get down to the brass tacks of being an author. Your first step should be to become active on social media. A Facebook fan page is a good idea. Don’t think you can promote your book on your personal page. That’s for your friends, who will turn away in droves once you post “buy my book” links. Instead, create a page, complete with your official author photo and a banner, that will be intriguing and be devoted to your writing. Twitter is another social media giant you should join. Don’t just set up your pages and walk away. 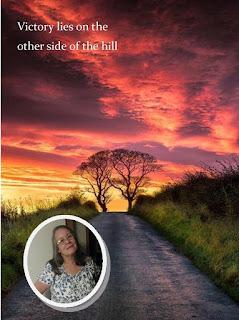 Post about your journey to publication on both. Share interesting tweets on Twitter, in order to attract others. Begin the process of building your fan base. Many authors maintain a blog. It’s a great place to talk about your writing process and to brag about your book. You can even talk about things not writing related, but keep those to a minimum. You also need to connect with other authors; not just ones signed with your publisher. Expand your base to include indie authors, so you can get a wider experience of what this writing world is all about. Be careful though. Some of these authors are very centered on only their work. They might say “Sure, I’ll help you promote your book once it comes out.” But they’ll quickly be too busy once that happens. Visit your local library to see how they handle local authors. Take the time to become involved with their reading groups, sticking with the ones that match your book’s genre. Have a talk with someone on the staff of the local newspaper. You might be pleasantly surprised to discover they’ll do a write up about your first book. Be ready with your cover art, once it’s ready, and your blurb. They’ll need that along with your bio in order to complete the article. Most of all, don’t sit back and believe you have plenty of time to write your next book. Get started on that right away. The twenty-first century author is competing against thousands of new books releasing weekly. Your new book will soon vanish from sight if you don’t have another one waiting in the wings.